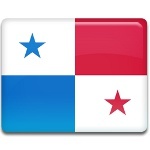 January 9 is Martyr's Day in Panama. This day commemorates the memory of all people who died during the riots in 1964 caused by the conflict between Panamanian students and Canal Zone Police officers. January 9 should have been the day of the peaceful demonstration as the answer to prohibition to fly American and Canal Zone flags outside schools, post offices, police stations and other civilian locations where it should be. Outraged by Governor Flemming's prohibition, Zonians began their demonstration with the U.S. flag. Later students of Balboa High School came out of class, raised another flag and posted guards to prevent its removal. The situation came out of control when Governor Fleming departed Canal Zone for a meeting in Washington, D.C. on January 9, 1946. This became the violation of the situation that resulted in death of 28 people. The students of Balboa High School were met by police and after a short negotiation a small group was allowed to approach the flagpole and to raise Panamanian flag. But the Zonians rejected this deal, surrounded the flagpole and sang the Star Spangled Banner. That became the reason why scuffling broke out and the Panamanian flag was torn. The incident of the flag desecration spread and crowd of 30,000 or more came out for demonstration. As far as the relationships between Panamanians and the Canal Zone police have always been tense, the latter responded the demonstrators by opening fire. The final result of death toll was 28 killed grown-ups, students and children. Two different monuments have been built to commemorate these events. One of them was built at the flagpole where the incident happened. The second monument was built in front of the Legislative Assembly.